Check out this interview with Alissa Smith, who graduated from MAPH in 2012. Since MAPH, Alissa has worked in the nonprofit sector and speaks about her experiences in MAPH and how they lead her to her current position. I currently serve as the Corporate and Foundation Relations Manager for City Year Denver. 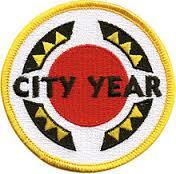 City Year is a nonprofit organization with 25 sites across the country and three international affiliates. While the title is relatively self-explanatory, it essentially means that I build and cultivate relationships between City Year and its work in schools and corporate and foundation partners in the community. How does your job relate to MAPH? Do you see connections between MAPH and where you are now? This entry was posted in -, Academics, Alumni, Internships, Job Search, News and tagged Alumni, Career, City Year, Jumpstart, Nonprofit on December 28, 2014 by lbryan. I began the Odyssey Project internship knowing its reputation for being a choose-your-own adventure process and an exercise in multitasking. I left the summer feeling like the internship had transformed in ways I never had imagined. Unlike the interns before me, I didn’t teach a class as part of my summer internship, but I was, instead, more involved with the inner workings of the Odyssey Project concerning preparations for a new group of students and getting ready for another year of the program. While some of the work involved typical “intern” tasks like printing posters, folding, cutting, stapling, answering phone calls, and mailing applications, I have to admit that I was pleasantly surprised by the freedom I was given to create my own workload and choose an internship trajectory that fit my interests. This entry was posted in Alumni, Internships, Job Search, Publications, Teaching and tagged Education, Internship, Nonprofit, Teaching, The Odyssey Project on September 10, 2014 by lbryan.